Many people want to buy investment properties because of the fantastic returns they can provide. However, many people do not have the 20 percent down payment (or more) that most banks require. There are ways to buy an investment property with little money down. The easiest way to buy an investment property with less than 20 percent down is to buy as an owner-occupant and later rent out the house, but there are many other options for investors as well. Using a line of credit, refinancing your home, house hacking, the BRRRR method, or even credit cards can provide ways to buy investment properties for less money. Seller financing is a great way to put less money down on a rental property if you can find sellers who are willing. A more advanced technique is to use hard-money financing that you can refinance into a conventional loan. Whatever way you choose to buy rental property, research the method to make sure that it is legal in your state, your lender approves it, and that you are not stretching your finances too thin. How much money down do most banks require on an investment property? An investor will have to put down at least 20 percent to buy a property from a typical bank. If you own more than four properties, that figure can increase to 25 percent down, providing that they are even willing to finance more than four properties. On top of the down payment, an investor will have to pay closing costs, which can range from two to four percent of the loan amount. It is very expensive to buy an investment property using financing from a typical bank. I have found a great portfolio lender who will finance as many properties as I want with 20 percent down, but they are not easy to find. Once you factor in repairs, carrying costs, down payment, and closing costs it can cost as much as $30,000 to buy a $100,000 rental property. 1. Buy a house as an owner occupant, which will cash flow when you rent it out. 2. Move into the house and live there for at least a year. 3. After the year is up, find another house that will cash flow and purchase that home as an owner-occupant. 4. Move out of the first house and keep it as a rental. Move into the new house and repeat the process every year! Eventually, you will be building up equity and extra cash flow, which will enable you to buy properties with a 20 percent down payment. Repeating this process 10 times would be an excellent way to get started, but no one wants to move ten times in ten years. It can also be tough to convince your family to live in a home that would be a great rental. Here is an article that shows how long it will take to make one million dollars using this owner-occupant buy strategy. House hacking is when you buy as an owner-occupant but you buy a multifamily property instead of a house. By purchasing a multifamily property you can live in one unit while you rent out the other units. This strategy allows you to rent the property faster, which may mean the bank will be more willing to give you a new loan as soon as you are ready to move out. BRRRR stands for buy, repair, rent, refinance, and repeat. It is a great way to get into rentals with less money down. You will need to get an awesome deal to make this strategy work, but you may be able to get all of your money back. You buy a house that is an amazing deal, fix it up, rent the property, and then refinance it. Once the refinance is done you repeat over and over! How to make the BRRRR strategy work. Using hard money can save you a ton of cash in the short-term, but it is more expensive in the end. Fannie Mae lending guidelines, allow you to refinance a home with no seasoning period, which means you do not have to wait six months or a year after you purchase a home, to refinance at a higher value than what you bought it for. Fannie Mae guidelines base the refinance amount on a new appraisal, and they will allow a 75 percent loan-to-value ratio. Fannie Mae guidelines do not allow a cash-out refinance, but they do allow the refinance to pay off any existing loans. Many hard money lenders will allow a buyer to borrow up to 100 percent of the purchase price and to finance repairs as well. Since Fannie Mae guidelines allow a 75 percent loan-to-value refinance, theoretically an investor could buy a home for $100,000 and get a loan with a hard money lender for $100,000 plus $30,000 in repairs for a total loan amount of $130,000. The investor could refinance the home for as much as 75 percent of a new appraisal. If the appraisal came in at $180,000, then 75 percent loan-to-value would allow a refinance of $135,000. Fannie will not allow a cash-out refinance, but the investor could refinance the full $130,000 loan amount. This strategy can be costly due to hard money fees, but it allows the investor to refinance the entire purchase price and repairs! This strategy can also be very risky because you are depending on a high appraisal to get your money out. Most hard money loans are only one year and you must pay off the loan after that year. Refinance appraisals are not always as high as we would like them to be. Make sure you have an exit strategy if the appraisal comes in lower than you expect. Here is an article with more information on this strategy. 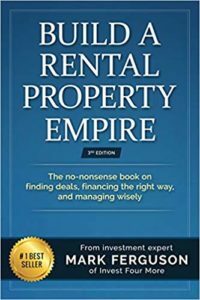 For more information on investing in rentals and flips with little money down, check out my book: Build a Rental Property Empire: The nonsense book on finding deals, financing the right way, and managing wisely. The book is 346 pages long, comes in paperback, as an audiobook, or as an eBook, and is an Amazon bestseller. One legitimate way to buy real estate with no money down is to use private money. Private money is from a private investor, friend, or family member. The private investor will give you money at a certain interest rate to buy a flip or rental property. Private money rates can vary from very cheap to very expensive depending on the relationship, investment, and terms of the loan. I use private money from my sister for my fix and flips. She charges me six percent interest. It is a great way to reduce the amount of cash I have into the properties. I have used private money to buy commercial rentals and then refinance into a long-term loan with a local bank. Here is a great site with more information on private money lending and on how to structure deals. Can being a real estate agent help? There are many advantages to having your real estate license, but the biggest benefit is you can keep your commission on almost every house you buy. On a $100,000 house, your commission could be $3,000 dollars or more. Here is an article that details why it is an advantage to become a real estate agent if you are an investor. Being a real estate agent also gives me an advantage in finding and purchasing great deals. I detail how hard it is to get your real estate license here. I saved more than $70,000 a year on commissions by being a real estate agent. That does not include the money I made on deals that I got because I was an agent. A new trend in the US is buying turnkey rental properties that are purchased, repaired, rented, and managed by a turnkey provider. Turnkey properties are a great opportunity for investors to buy rental properties out-of-state when homes are too expensive in their area. There are turnkey providers who offer as little as 5 percent down for investors, but they tend to have very high interest rates. Here is a great article about turnkey providers or send me a request here for turnkey providers I know of. I bought a turnkey rental in Cleveland a few years ago. I was able to get a line of credit on my personal residence earlier this year. That line of credit was for $60,000, required no appraisal, and only cost me $26! If you have equity in your home, a line of credit is a great way to get some extra cash to invest in rental properties. You can pull money out of your line of credit for any reason and the money is available almost immediately. My lender was able to tell me instantly how much the line of credit would be for no charge. Off-market properties are purchased through direct marketing or by word of mouth. Buying off-market usually means less expensive properties and in some cases, owners with flexible terms such as owner financing. Many investors wholesale off-market properties, which you can purchase with no down payment. Wholesaling is a process of buying and selling properties very quickly. The properties must be very good deals and are usually found by direct marketing for properties. Many investors make a great living by only wholesaling properties to other investors. Some sellers may be willing to finance the house they are selling or finance a second loan on a home that allows a buyer to put less than 20 percent down. If your bank is willing to offer 80 percent loan-to-value, the seller may offer to loan the other 20 percent, which would amount to no money down for the buyer. The seller may also offer a number of other loan-to-value percentages to help a buyer get into a home for less than 20 percent down. Finding seller-financed properties is the tricky part. Most sellers are not looking to finance a loan when they sell. To find seller financed listings, look for homes that have no loans against them or an MLS listing description that say seller financing is available. The seller’s terms can vary greatly depending on how desperate they are to sell and what exactly they are looking to get out of the deal. Do not expect to pay four percent interest on a seller-financed loan; they will want a premium on any money they lend. It is also harder to find great deals with seller financing, which is key to my strategy. There are many new restrictions on financing thanks to the recent Dodd-Frank Act. If you already have a home, you may or may not have equity after the recent market downturn. In most areas of the country, home values are rising and interest rates are at record lows. You may be able to refinance your home and get enough money to buy an investment property. Once you are able to buy an investment property, you can refinance it in one year. With rates as low as they are, if you bought the home below market value, you should be able to take out as much as you put into the house and still cash flow. I use this refinance technique all the time. Getting lenders to do a refinance is tricky when you own multiple investment properties. I use a portfolio lender who has allowed me to use a cash-out refinance on as many properties as I want. The BRRRR method is another way to buy with less money using a refinance. Here is free software for landlords as well as access to tenant screening services to make sure you get the right tenants! A move-in ready property means all the repairs are completed and it is ready to rent as soon as you buy the home. There can be many advantages to buying a nice home. The biggest advantage is you do not have to pay for repairs. You also do not have to spend time waiting for repairs to be done, which saves money on mortgage payments, utilities, and other carrying costs. The downside of a move-in ready property is that it is usually more expensive and provides less cash flow than a home that needs work. A few other ways to get quick cash can be very expensive and are usually reserved for people looking to do a quick flip. If you have a killer deal you cannot pass up, you may want to consider these options, but I do not recommend using them unless it is necessary. The easiest way to get quick cash is with credit cards. You can get a cash advance or pay for repairs using your credit card. If you use a credit card to finance your down payment or repairs and cannot pay it off right away, do not pay the 17 percent interest rate. Do your best to get another card that will allow a balance transfer. Many times, you can transfer all of your balance and pay little to no interest for up to a year. That may give you enough time to pay off the card and not to be stuck with a high-interest rate eating all of your profits. I also suggest using a rewards card for repairs on your investment properties. If you pay the balance off every month, this is a great way to make a little extra money. If you have money invested in an IRA, you are not limited to investing in stocks or mutual funds. There are special self-directed IRAs that you can use to purchase an investment property. You can use your IRA for down payments and repairs and then collect rent in the IRA. Here is an article with much more information on IRA investing. Some 401ks allow an investor to take out a loan against them. You usually have to pay back the loan relatively quickly and pay interest on the loan. You have to be very careful when borrowing from a 401k because the money you borrow is no longer earning interest or growing in your retirement fund. If you lose your job, you also may be required to pay back the loan within 60 days or pay a 10 percent penalty and income tax on the loan. You can also invest in real estate with a self-directed 401k, much as you can with an IRA. With a subject to loan, you buy a house without paying off the previous owner’s mortgage. This is another tricky situation; investors must be very careful with it. Most bank mortgages are not assumable; when the homeowner sells the house, they have to pay the loan in full. 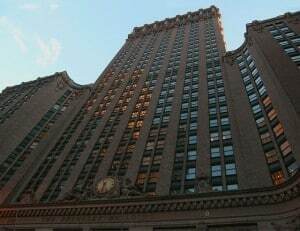 The bank most likely will have a due-on-sale clause that says the loans must be paid in full, once the property transfers ownership. With subject to loans the new investor buys a house subject to an old mortgage and does not pay off the loan. There is a chance that the bank will require the loan to be paid off if they find out that the home has been sold. Investors buy homes subject to a mortgage so that they do not have to get a new loan. It may be hard for the investor to qualify for a mortgage or they may be maxed out on being able to get new loans. If you buy a home for $80,000 that has a $75,000 mortgage in place, the investor would only need $5,000 to buy the house instead of the normal 20 percent or more. The Fannie Mae Homepath program on their REO properties allows investors to put only 10 percent down and allows up to 20 financed loans in one person’s name, which is also a huge bonus. It is very difficult for many investors to get loans on more than four properties. This program has been discontinued. Rental properties can be expensive, but there are ways to purchase them with less than 20 percent down. If you are short on cash, buying properties with little money down can accelerate the purchasing schedule and increase your returns. 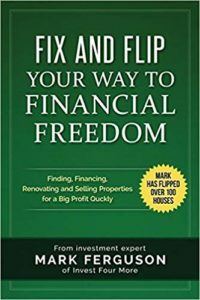 However, you will most likely make less money on each property, because borrowing that last 20 percent can be much more expensive than the first 80 percent. If you need help getting started investing in real estate check out my Complete Blueprint to Successful Real Estate Investing.